With BC’s property market cooling, home sales declined 24% in July to a six year low, it appears interest from foreign buyers is also fading. At least according to official BC Government data. 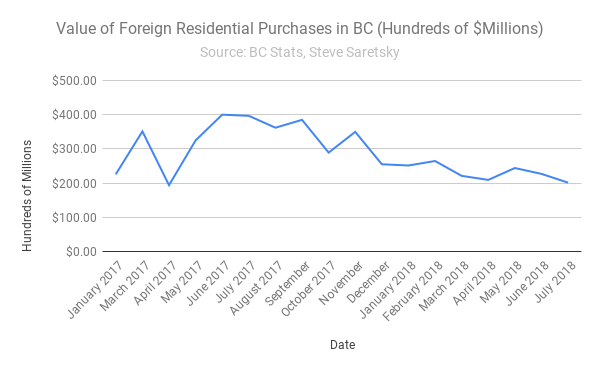 While the numbers likely don’t capture the full extent of the madness, land title registrations for July show foreign buyers accounted for just 1.49% of all residential transactions in the province of BC. 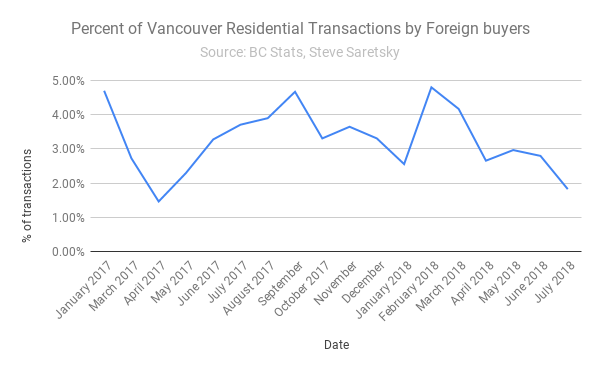 Foreign buyers haven’t been this scarce since August 2016, just after the introduction of the BC Governments foreign buyers tax. 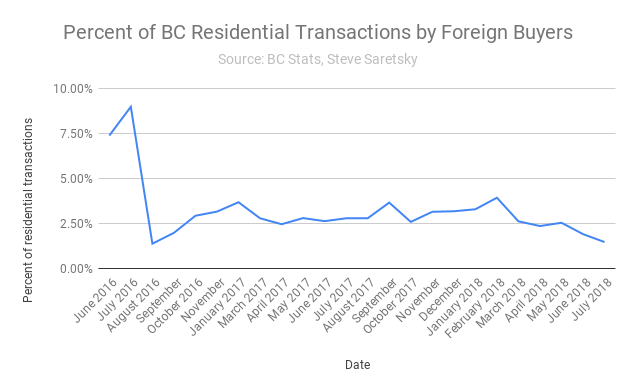 Percent of BC Residential Transactions by Foreign Buyers. As the percentage of transactions from foreign buyers declined, so too did the dollar volume. Of the $9.9 billion spent on BC residential Real Estate in July 2018, foreign buyers accounted for a mere $201 million. This was a 49% decline from July 2017. Meanwhile, in the city of Vancouver where detached home sales are at a 27 year low and rent prices are flatlining, interest from foreign buyers has faded. Foreign buyers as a percentage of total residential transactions for the month of July 2018 trickled in at just 1.83%. With China continuing its attempts to stabilize foreign exchange reserves by mandating stricter capital controls, and a global credit cycle nearing an end, the impact has begun to ripple across global property markets. Slowdowns have been documented in areas such as Sidney, Melbourne, London, New York, and Seattle just to name a few. 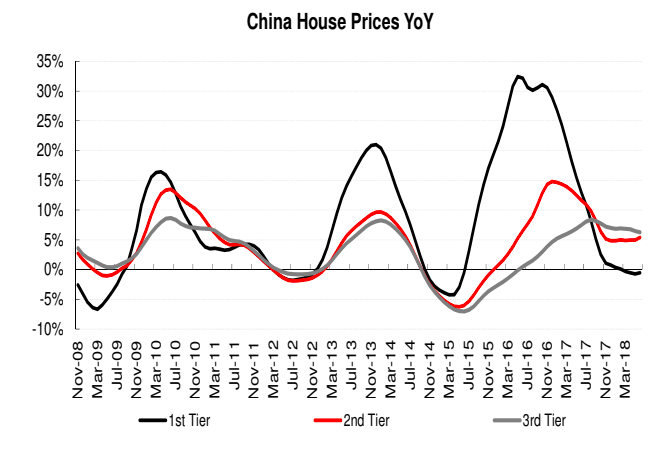 In China, house prices in tier 1 cities have also begun rolling over.